Narrative is everything. Stories allow us to express ourselves, to shape our identity, to define our existence. Stories help us understand our place in society, and when society doesn’t seem to have a place for us, we search for a different narrative that might give us solace. 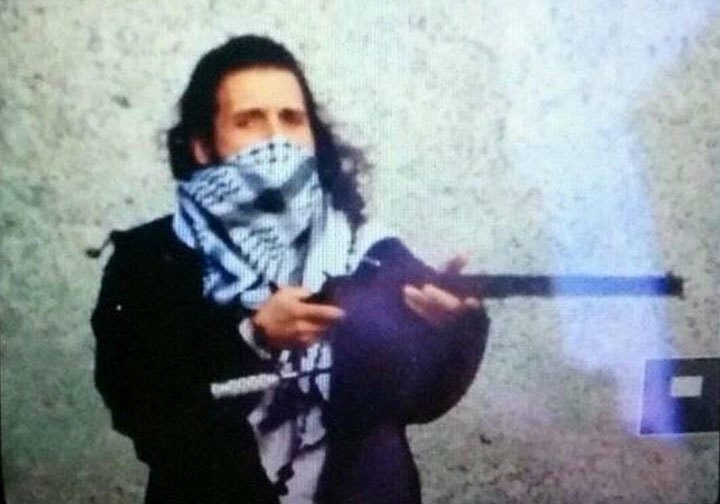 Michel Zehaf-Bibeau was a troubled man. Like Martin Couture-Rouleau, the man who killed a soldier in a hit-and-run just days earlier, Bibeau was lost. Radical Islam presented a narrative. We should not play into that story. Stephen Harper was quick to align these violent acts with the international effort to combat global terrorism. It is tempting to agree. Many aspects of the position he presents are sound. The two men were motivated by religion. Not solely motivated, mind you, but their recent conversions to Islam were part of their overall motivation. If one feels that they don’t belong, that they are ostracized, shunned to the sidelines because of mental illness, self-radicalization is not far off. These violent acts were perpetrated by men acting alone, that much is clear. Their connection to ISIS is nothing more than that of disturbed individuals buying into a narrative that presented them with a means to define their existence. These violent crimes should be viewed and understood as criminal acts by troubled criminals, not terrorists. The idea of becoming a terrorist is closely aligned with the idea of fighting against injustice, whatever that idea of injustice might be. One can argue that these men were evil, driven by an evil ideology. But neither these men nor those that espouse their ideology view themselves as evil. In their minds, they are fighting for justice. For this reason, Harper’s eagerness to align these violent, criminal acts with ISIS and global jihad, with the need for greater surveillance to combat terrorism, with Western military engagement worldwide against a civilizational threat, is irresponsible and wrongheaded. Narrative is everything, and his willingness to place this tragic event in the prism of civilizational conflict between “those who challenge our values” and “those who are good Western patriots” only further entrenches the ideological divide. It presents a narrative, the very same narrative that allowed these two men to see themselves as part of a larger conflict, rather than as men who needed psychological treatment. Other violent, delusional people that might be susceptible to radicalization are being presented the same narrative from both sides. We should not be playing into that story. In Civilization and its Discontents, Freud wrote about what he called the ‘Oceanic Feeling.’ The human mind has an innate need to be part of something larger than itself, he said, to be part of an ‘Oceanic’ whole, rather than a singular entity lost within itself. It is that desire to be part of something larger than themselves that leads troubled, lost, potentially violent individuals to expose themselves to radicalization. These two men were not part of a larger network that conspired to terrorize Canadians. They were not affiliated with ISIS, Al Qaeda, Boko Haram, etc. They were self-radicalized, most likely through online propaganda that fed on their need for belonging and a sense of injustice. Presenting these two disturbed individuals as terrorists with all the pomp and circumstance afforded them in Parliament and in the media only serves to elevate them in the minds of would-be violent criminals starving for a narrative that can justify their radical turn to violence. We should not play into that story. Not with these men, not with these events. Were it proven that these men had been in contact with members of a fundamentalist Islamic organization or were assisted in their criminal acts by actual terrorists, then this narrative might fit. But as the police commissioner said during his press conference on Thursday, we are dealing with a phenomenon called radicalization. He did not say terrorism. Greater surveillance would not have stopped the attacks on these soldiers. There were no linkages to any larger network. They were innocent until they committed their violent crimes. The law could not have stopped them. That is the price of freedom. We cannot stop all crimes. But we can stop plots, like those of the Toronto 18, who were foiled by police due-diligence and surveillance. In that case, the system worked. And, I dare say, the system worked here, too, unless we begin discussing mental illness. Because that’s how these crimes should be viewed, in terms of mental illness and criminal activity. Labelling every troubled individual who commits a violent crime as a terrorist only elevates them to the status of religious martyr. That is the narrative presented by fundamentalist radicalizers. Others with a thought to perpetrate similar acts should not be presented the same narrative by our leaders. We should not play into that story. We should present an accurate narrative, one that focuses on mental health and highlights these violent acts as crimes, not acts of war. It is irresponsible to play into the narrative of religious martyrdom and so encourage similarly minded individuals in Canada. Many pundits and politicians will want to give a greater political meaning to the Zehaf-Bibeau attacks than is justified by what we know up to this point. What happened on Wednesday, based on what we know so far, was as much a case of mental illness that found a violent outlet, rationalized by extremist political-religious dogma, as of calculated politically-motivated terrorism. Some want to argue that Wednesday’s murder and assault on Parliament was caused by Canada’s foreign entanglements. Others have it that this violence was the work of a highly organized extremist army, set on destroying our way of life. They both may be wrong. As far as we can tell, the violent events of Wednesday were the work of a single, sad, disturbed individual. Inevitably, there are such individuals in any society. Often, if and when they do not get the counsel they need, they hurt people, although mostly only themselves and those close to them. I’m not saying that terrorism isn’t real, or that we shouldn’t be concerned about it, or that steps shouldn’t be taken to protect the public. What I am saying is that in this case, with these two disturbed men, the discussion must be about radicalization – what exposes people to it, how to prevent it, and what steps should be taken if it is evident that radicalization has taken place and a violent crime is on the horizon. What I’m saying is that we shouldn’t present disturbed individuals with the same ideological, civilizational conflict that Islamic fundamentalists provide, a narrative that allows troubled minds to see themselves as religious martyrs carrying out violent acts against legitimate combatants. We should not play into that story. If you’re interested in the article, please Share, Like, Comment, and Follow.